It is clear that Israel is unwilling to meet the legitimate demands of the Palestinians for peace or those of the wider Arab world. Securing a comprehensive peace in the Middle East is a prize that has eluded the region since the creation of the state of Israel. The reality is that, 71 years after Israel’s creation, regional wars, Israel’s invasion of Lebanon and a subsequent war in 2006, repeated attacks on the besieged Gaza Strip and an entrenching of Israel’s occupation of illegally occupied Palestinian land, we are no closer to peace. The Palestinians have not succeeded in freeing their homeland from the river to the sea nor to free the internationally recognised occupied land of the West Bank, including East Jerusalem and Gaza. Further, the illegally occupied Golan Heights have not been returned to Syria nor have the remaining occupied Lebanese lands been returned to Lebanon. On the other hand, Israel has not succeeded in pushing the Palestinian people out of their homeland to achieve Zionism’s aim of a Jewish homeland from the Jordan River to the Mediterranean. While each side blames the other for the impasse, the readiness of the Palestinians and the Israelis to negotiate a peace deal can be judged by their actions over decades. In 1993, the Palestine Liberation Organisation (PLO) recognised Israel through the Oslo Accords over the land occupied in 1967 but Israel only recognised the PLO as the sole and legitimate representative of the Palestinian people with which it would negotiate. No Israeli leader has accepted the creation of a free, independent state of Palestine based on international law and the generally accepted formula of land for peace. The Oslo Accords, over which the famous Yasser Arafat-Yitzhak Rabin handshake was made, should have led to a Palestinian state by 1998. The world will never know whether this would have been realised had a Jewish Israeli not assassinated Rabin in 1995. Since the start of direct negotiations between Israel and the Palestinians, which began in the early 1990s, a pattern was set in which negotiations were driven by Israel’s wish list and vision for peace rather than the implementation of international law and the tens of UN Security Council resolutions. Attempts at helping the two sides come to an agreement failed to address the core issues of borders, settlements, refugees and Jerusalem’s fate. Indeed, they have been kicked into the long grass as final status issues. An objective assessment of the situation would highlight that the Palestinians have made substantial concessions on their legal and historic rights. Palestinian leaders accepted a state on only 22% of their historic homeland with East Jerusalem as their capital, accepting sharing the holy city with Israel for its capital. In sharp contrast, Israel annexed East Jerusalem and declared the whole city as its “united and eternal capital.” US President Donald Trump acceded to this, recognising it as so a year ago and then moving the US Embassy from Tel Aviv last May. 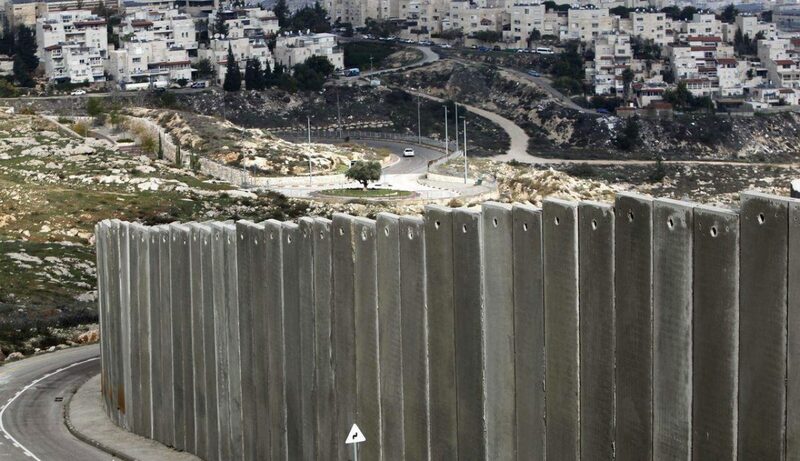 On borders, Israel chooses where to place these in complete disregard to international law. It talks about a border with Gaza but not with the West Bank. As far as Israeli Prime Minister Binyamin Netanyahu is concerned, Israel’s borders extend from the Jordan River to the Mediterranean, excluding Gaza. He couches this in terms of the need for security over the whole land to remain in Israeli hands. The Palestinians do not have a single border-crossing, seaport or airport, they operate independently and none has ever been on the table except for the Gaza airport, which operated for two years from 1998 before Israel destroyed it. Israel does not recognise illegally occupied Palestinian land as having this status and continues to build illegal colonies for Jews only, strategically placed to make the prospect of a contiguous Palestinian state impossible. This is deliberate. There is also regular talk by senior Israeli officials of annexation of major parts of the West Bank. Israel refuses to recognise the right of the Palestinian refugees, expelled in 1948, and their descendants, to return to their homes in accordance with UN General Assembly Resolution 194. It claims that the return of the 5 million refugees would destroy the nation as a Jewish state and has actively been pressing its allies, particularly the United States, to only recognise the few tens of thousand refugees alive in 1948 as refugees but not their descendants and to close the UN Relief and Works Agency for Palestine Refugees in the Near East, which it claims perpetuates the refugee issue. Israel never accepted the Arab Peace Initiative, offered in 2002 by Saudi Crown Prince Abdullah bin Abdulaziz Al Saud, based on an end to its occupation of Arab land in exchange for full normalisation with all Arab and Muslim countries, a prize it could have attained speedily had it taken that opportunity. Israel continues to challenge the sovereignty of the Palestinian territories or Jordan over holy places. Both al-Aqsa Mosque in Jerusalem and the Ibrahimi Mosque in Hebron continue to be points of tension as Israel uses regular settler break-ins to create a permanent presence despite both being in illegally occupied Palestinian land. Israel’s passing of the nation-state law in July sent the clearest possible signal of its intentions. Only Jews have a right to self-determination in Israel, whose borders are undefined. The right to live in Israel is exclusively for Jews, thus eliminating the Palestinian refugees’ right of return. The settlements are a “national value,” which will be supported and encouraged, and Arabic is no longer an official language of the state. Even within Israel’s internationally recognised borders, Jews and Palestinians do not enjoy equal rights and admissions committees can decide who moves into more than 200 communities to maintain their culture. It is clear that Israel is unwilling to meet the legitimate demands of the Palestinians for peace or those of the wider Arab world. It is unwilling to return lands it occupies illegally to Syria and Lebanon. It wants to turn the Arab Peace Initiative on its head by securing normalisation with Arab states first, kicking the Palestinian issue further into the long grass. It wants co-existence on its terms. Those considering going along with this should reflect on its record and intentions. It will take whatever it can but give nothing in return. There is no evidence that this leopard will change its spots and create a climate conducive to peace but will take the opportunities to normalise and prevaricate. Only external pressure can help bring this about. The Arab world should not make it easier for it to achieve its objectives at the expense of the Palestinian people.